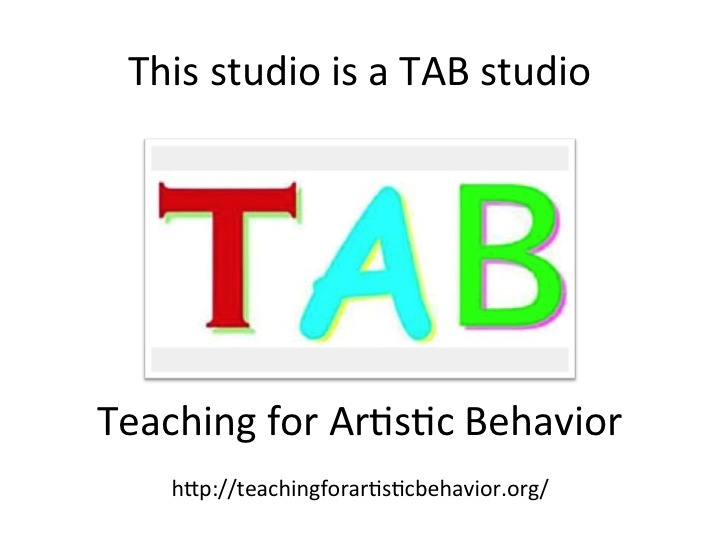 In a TAB-choice studio, students are regarded as artists. In a TAB-choice studio, students choose what to work on. This is a ceramics studio; therefore, there is no choice of medium. Students that enter this program are beginning ceramic artists and need to develop necessary technical skills before being able to create their own art through this medium. So…the curriculum is divided into thirds leading toward true artistic behavior. First THIRD – Students are introduced to necessary skills and practice these skills through projects designed to show development of the skills. Second THIRD – Students choose and apply the necessary skills to accomplish a goal set by teacher. Students begin to work with themes. Final THIRD – Students demonstrate artistic behavior by developing and completing their own projects related to a theme of their choice. They are 100% in charge of their own project from inspiration to planning, to creation, to reflection, to assessment. Through this project, students demonstrate mastery of the skills and artistic behaviors learned during the school year.